As promised, here’s a simple recipe on how to make your own fruit enzyme at home! 1) Wash lemons and pat dry. Remove the skin and as much of the white part as possible (leave the skin on if you like a tangy, bitter taste to the enzyme drink). Slice and remove the seeds. 2) Wash pineapple, pat dry and remove skin. Slice into bite-size pieces. 3) Arrange the pineapple pieces at the bottom of the bottle. 4) Add a thin layer of the lemon slices on top. 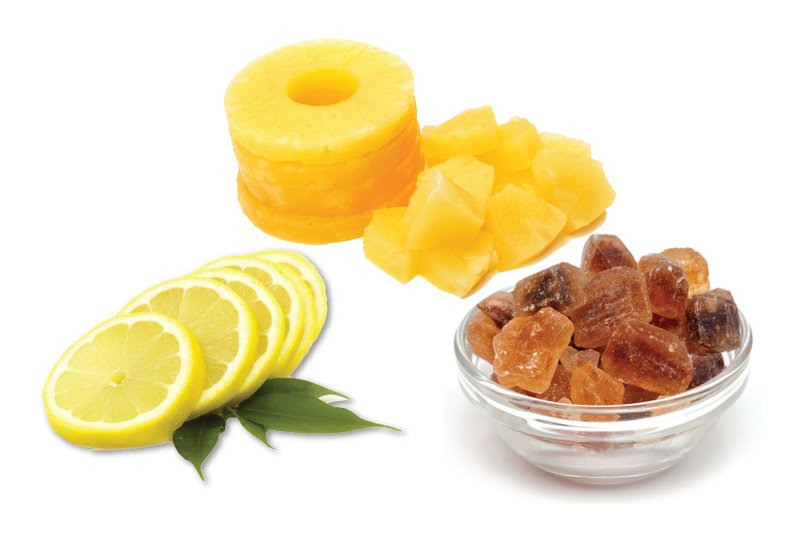 6) Repeat the process – one layer of pineapple, followed by a thin layer of lemon slices, then 1 or 2 pieces of rock sugar. 7) Repeat the layering process until the whole bottle is filled to the brim. 8) Cover the jar, ensure it is airtight, and label the bottle 3 weeks from the day you make the enzyme. That will be the date when you can open your bottle and enjoy your enzyme fruit drink. 9) Keep the bottle in a cool dry place for 3 weeks. 10) After 3 weeks, open the bottle, strain the liquid and store your enzyme drink in the fridge. It tastes better when chilled. 11) Drink 30mls a day. Dilute with a little water if the drink is too sweet. Your hands must be absolutely dry when handling the fruits. After washing, pat dry the fruits with paper towels or they will turn mouldy during the fermentation process. Tip the bottle every 2-3 days to make sure all the fruits are moist during the 3-week fermentation process. This drink could work like an alcoholic beverage, so don’t drink too much at once!